Teams don’t start at the top. There’s a lot of sweat, long practices, strategy talk and effort put in all season long, year after year. For most club regions, it’s the law of the jungle: there’s a lion or two at the top of the pack and the rest have worked their entire season in hopes of taking them down. In a normal environment, it seems pretty straightforward. Lions fight all the time, one loses and one is the new king. Only in our jungle, the reigning king gets outside assistance and the other lions are left to fend for themselves. This is what the new USA Ultimate Triple Crown series is doing to middle of the pack teams. From a marketing and development point of view, the Triple Crown Tour is a positive for the sport. 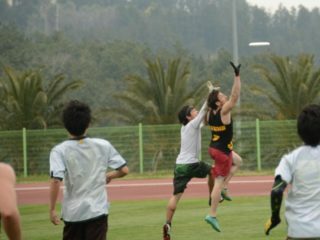 It allows USA Ultimate to showcase the highest quality ultimate throughout the summer season. The US Open, Pro Flight Finale, Club Championships and other tournaments feature only the best of the best: the top teams from the United States as well as some of the best teams from other countries. 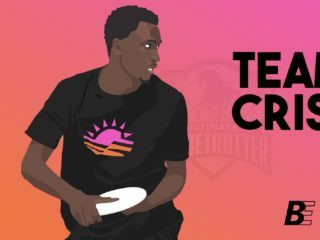 This is a great way to showcase ultimate to non-players and other organizations like the Olympic Committee, leading to future sponsorships and collaborations. But what does this mean for those underdog lions, thirsting for a chance to be the top dog (or cat)? In the new system, the best plays the best. With the new elite team groupings, as well as forcing teams to attend certain tournaments and skipping over normal local tournaments (like Sectionals), these middle of the pack teams are now left without elite teams to play against. Personally, I used to love playing against Slow White, The Ghosts and Wild Card when I was playing Mixed with Darkwing. We would lose every time, but it forced us to play hard if we hoped to make a game out of it. That’s how teams get better. Teams that constantly play the same opponents, at the same level, all summer, aren’t forced to adapt or evolve into stronger teams. When the Triple Crown tour went into effect, we went from playing elite, Club Championships caliber teams 8-10 times a year, down to maybe 3-4 times, mainly at Sectionals and Regionals. No matter how well we do against regional teams during the season, when it comes down to playing against a primed Slow White or Wild Card, who have played at the US Open or Pro Flight Finale and other elite tournaments at Regionals, what chance do we really have? We even lost the chance to play them at Sectionals due to the process that allows Pro/Elite teams to skip over Sectionals. 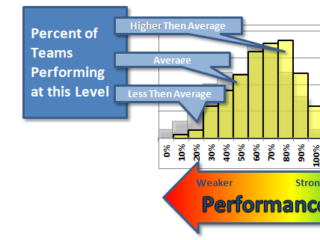 Mid-tier teams are plateauing, because they don’t get that push anymore. Darkwing started with humble beginnings, and began to pick up some steam over the past couple years, but finished 9th last year at Regionals and 10th this year. Pleasuretown and Lions, two other select teams in the Northeast, have finished 6th and 7th respectfully the past two years. How can teams like ours get better when our best chances of playing better competition are taken away? 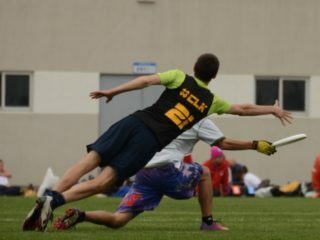 USA Ultimate is focusing too much on their top teams, and letting the development of the rest of the teams fall away. The Triple Crown Tour is creating a growing schism between the tiers. Of course, there is no hard line of separation, as some of the Select teams could easily do well at Nationals (and did this year), and some missed out on bids by just a few points or a bad game. There are several Select teams that are national-caliber and have been to Nationals in the past few years, only to have a couple bad ones to land them short of the Pro/Elite tiers. For elite teams, this seems to be the best case scenario; they play less blow-out games, get practice against teams they’ll see at Regionals and Nationals, and get more chances of playing the best competition the country has to offer. 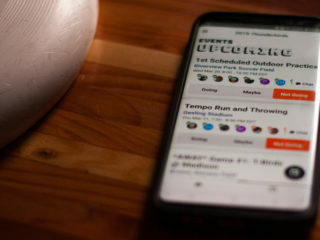 The system USAU has created sticks to their mission to showcase the sport, but the fact is that it feels like a kick in the teeth for those teams that are left out, struggling to break through, to get off the plateau and onto the peak. For the Darkwings out there, we’re left playing the rest of the Select and Classic teams, hoping to catch the Pro/Elite teams on a bad game at Regionals for our chance to reign over the jungle.